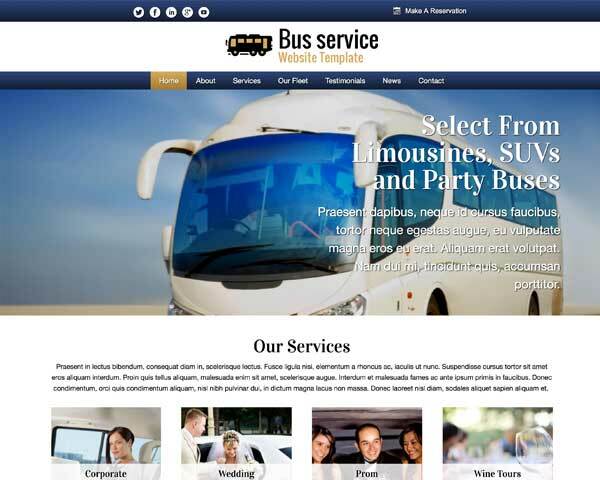 Offer a glimpse at your fleet of and convenient online booking with the Limo Service WordPress theme. 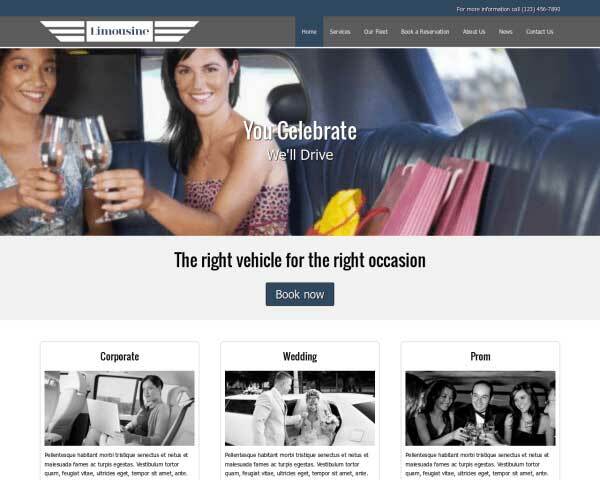 Stylish design, intuitive navigation and relevant pages set up with placeholder content add up to an ideal website template for limousine companies or any chauffeured car services. 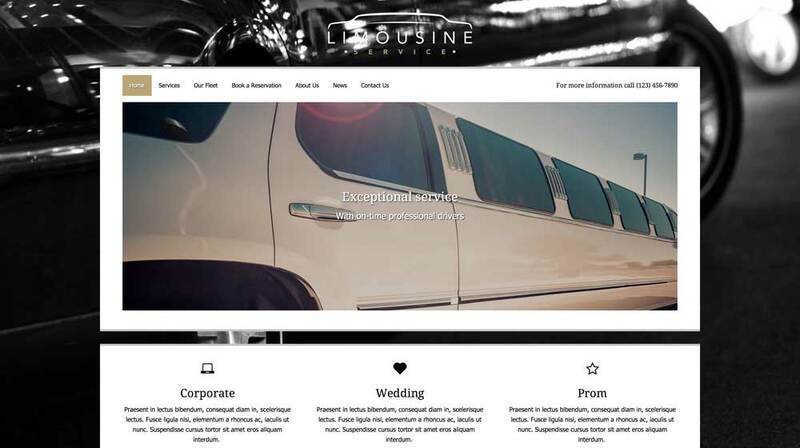 Show clients the level of style and service they can expect from your limousine rental company with the Limo Service WordPress theme. 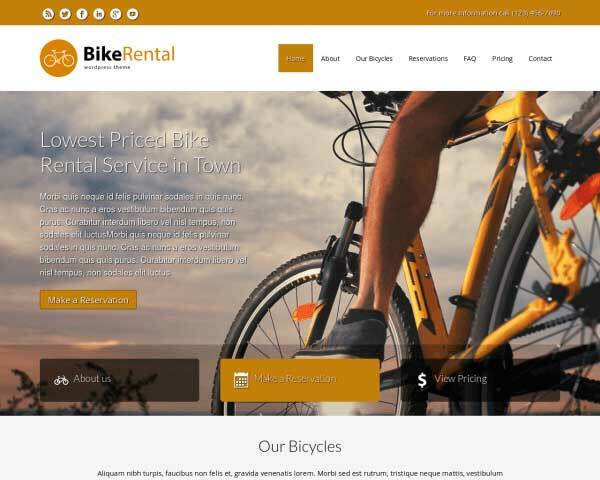 We've made it easy to beautifully present your own photos and text on this pre-built website template, already set up with pages for details about your driving services and elegant image galleries to flaunt your fleet of luxury cars and party buses. Adding content and adjusting page layouts is simple using our unique front-end editor and drag and drop widgets, and even customizing the color scheme takes just a few clicks. No coding skills are required, so building and maintaining your site is manageable even if you've never built a website before. 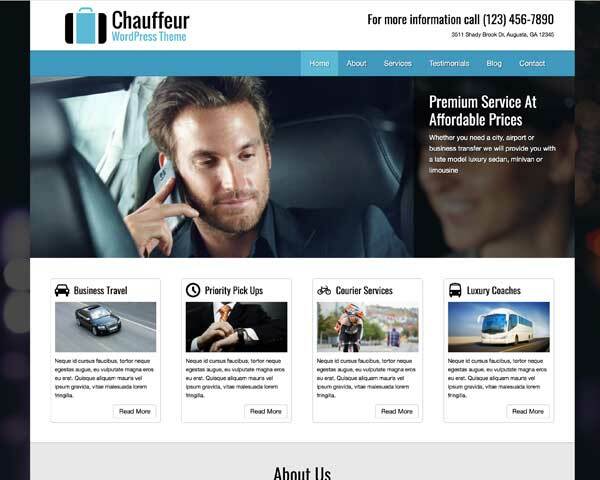 With useful features for chauffeured car services like an online booking form, news blog, and a convenient SEO manager, the Limo Service WordPress theme can help you attract new clients with an elegant, professional website you can be proud of. The blog is set up to display your press clippings or news about projects. Regularly updating your blog not only keeps clients and visitors informed, it can help drive traffic to your site and boost rankings. One of the main assets of the Limo Service WordPress Theme has to be its online appointment booking form. You can change the fields as needed and greatly enhance your online business. 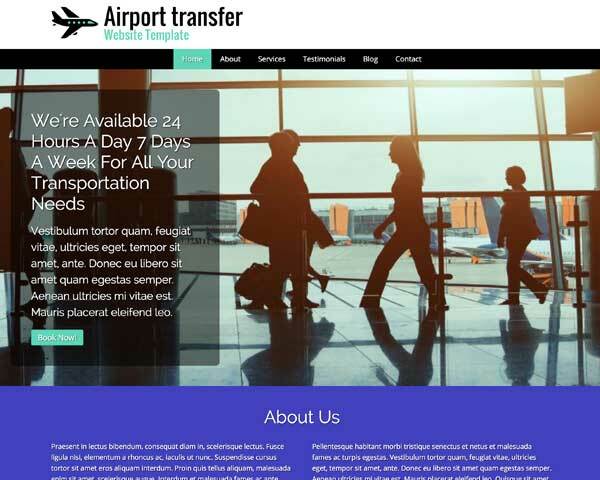 Prominent calls to actions on nearly every page of the Limo Service WordPress Theme encourage visitors to get in touch with you online without making them search for the link. 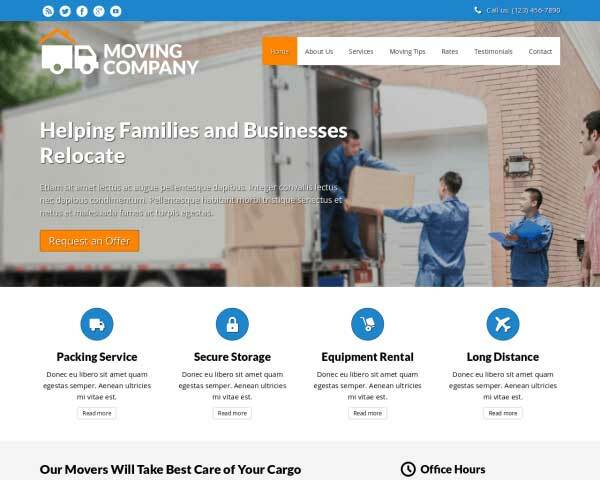 Offering much more than just contact details, the 'contact us' page on the Limo Service WordPress Theme includes an integrated Google map, route planner and a contact form. 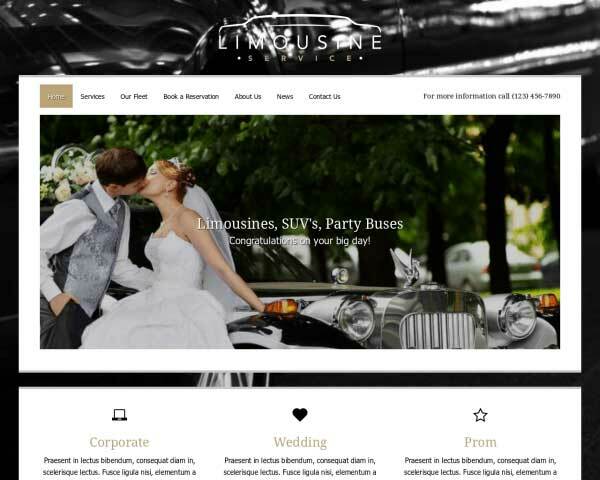 The Limo Service WordPress Theme features a clean, bright design that conveys friendliness and professionalism. The color scheme can be changed to suit your style with just a few clicks. Display your photos in two-, three- or four column image galleries. Clicking on a thumbnail will open the photo in an elegant lightbox slideshow without any extra plugins required. Provide deeper detail regarding your services on your detail pages. A list of quick links on the sidebar allows visitors to easily navigate to other service pages. 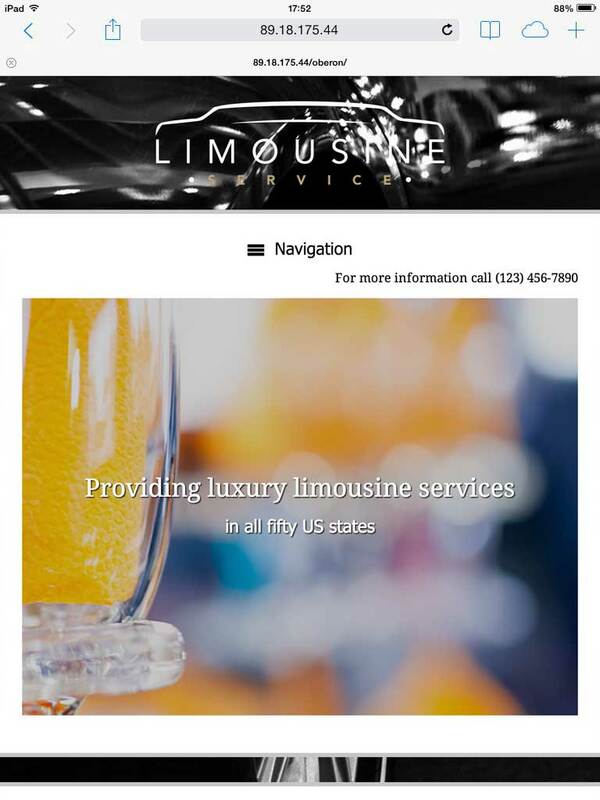 The homepage of the Limo Service WordPress Theme displays a neat overview of your services, offering visitors quick navigation to pages with more information. 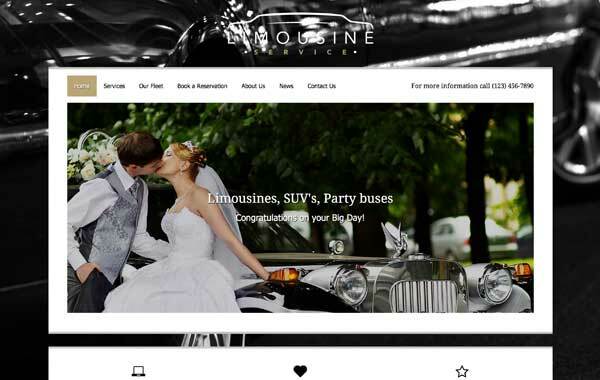 The Limo Service WordPress Theme is integrated with popular social media platforms, allowing visitors to easily share your content. Link to your own pages or even display your Tweets! 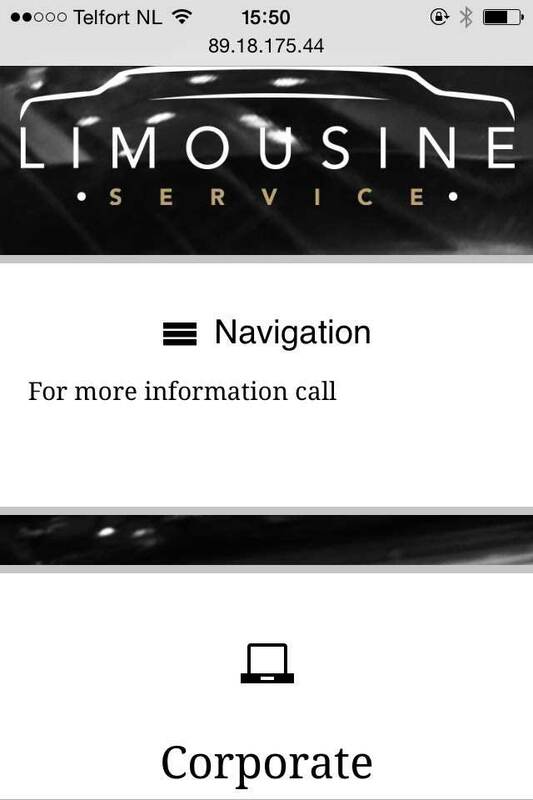 Visitors on the go will enjoy a great-looking mobile version of your website on smartphones and tablets when you build your site with the responsive Limo Service WordPress theme. It's mobile-optimized to automatically adjusts the layout of your content when viewed on smaller screens, offering clients the same professional design and functionality of the desktop version on any handheld device. Best of all, mobile visitors can simply tap on your phone number to dial and book a ride.